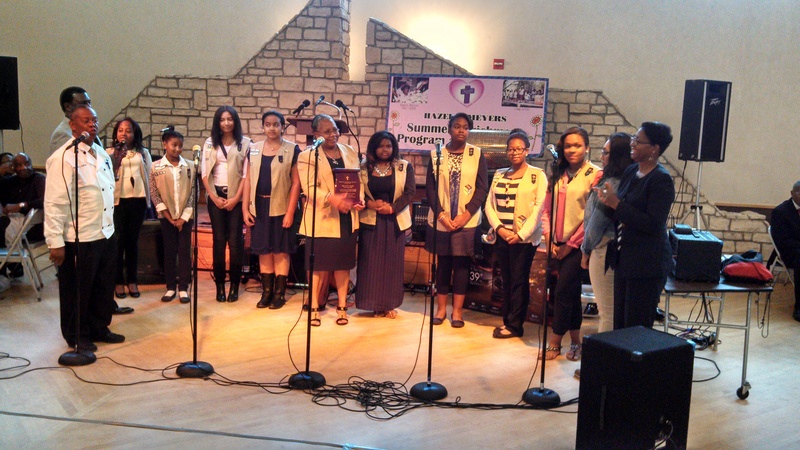 On October 12, 2013, Girl Scout troops 1548 and 770 received the Agape House Missionary and Outreach Ministry Award for 2013. The Agape House Missionary and Outreach Ministry was originally designed as a safe house for children whose parents were going through rehabilitation for substance abuse. For a period of time it also served as a woman and children’s shelter. Currently The Agape House is an outreach ministry that serves the community by operating summer camps, a catering training program, a full service food pantry and many other community services. This award makes me feel good about the services and help we provide to those less fortunate. I like when we can bring a smile to someone’s face with just a little caring. These girls scouts are truly helping to make the world a better place. Way to go girls – we are so proud of you! Read below for more on what the girls had to say about winning this award and about Girl Scouting. Winning the award to me means that people are appreciating my work. It was really an honor to achieve this award. My favorite part about Girl Scouts is meeting new people, learning new things, and also helping people and doing service work. Receiving this award means our troop is helping to make the world a better place, with our volunteer work. My favorite part of being a girl scout is the volunteer work. It may be hard work, but I believe it’s all worth it. It builds character and train girls to become a model citizen. You can do anything for people that is struggling and really help to give them something special. It was really great how they gave us an award for helping them. [In Girl Scouts] you can really come together and be a sister to each other. The different activities we do, and how we support different groups, and volunteer at different places if my favorite part about being a Girl Scout. The award means that the troop I’m apart of does amazing things for people. My favorite part of being a girl scout is volunteering. This award makes me feel good about the services and help we provide to those less fortunate. I like when we can bring a smile to someone’s face with just a little caring. As a camp counselor this summer, my Girl Scout training helped me to be a good leader to the younger kids at both of my camps. My favorite part about being a Girl Scout is when we go camping and volunteer at things like Elf Night and the Susan G. Komen race. I didn’t get a chance to participate in the Agape House service, but I was proud of my sister for doing her part to get the award. My favorite part about being a Girl Scout is the activities we can do to get badges and patches. I want to fill every spot on my vest with awards and badges.